*Based on Nintendo’s internal sales figures. Mario Kart 8 became available in stores and in the Nintendo eShop on Wii U on May 30 at a suggested retail price of $64.99. Also on May 30, a Mario Kart 8 Deluxe Set Wii U bundle hit retail stores, giving people who don’t yet own a Wii U system a very appealing and affordable way to hop into the driver’s seat. 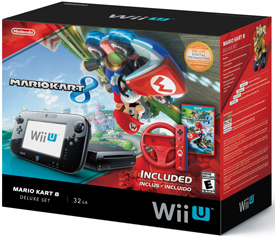 The bundle includes a 32 GB Wii U Deluxe Set system and GamePad controller, a Mario Kart 8 game disc, a Mario Wii Wheel accessory and Mario Wii Remote Plus controller, all at a suggested retail price of just $349.99. 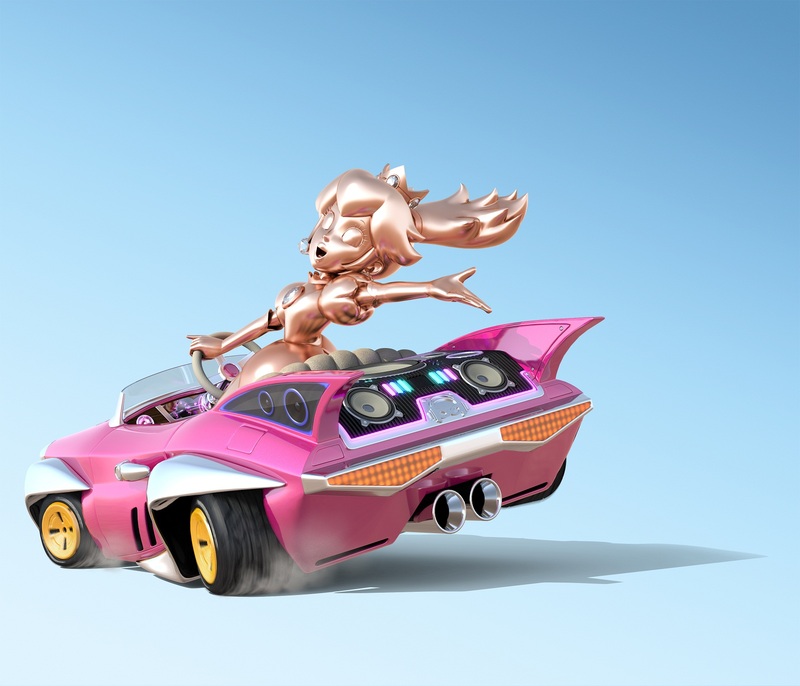 People who register the physical or digital version of Mario Kart 8 with Club Nintendo before July 31 will receive a free Nintendo eShop download code for an additional Wii U game at no cost. They can choose from one of these well-received Wii U games as part of the promotion: New Super Mario Bros. U, Pikmin 3, The Legend of Zelda: The Wind Waker HD or Wii Party U. This entry was posted on Monday, June 2nd, 2014 at 2:01 pm and is filed under Driving, Everyone, National News, New Releases. You can follow any responses to this entry through the RSS 2.0 feed. You can leave a response, or trackback from your own site.